I decided to update the look of my blog today with something different. I am still adjusting the colors, but I like the blue color and pretty snowflake design. I would love to have my blog done by a professional, perhaps with a unique cartoon or vector style header. For now, I have been searching the Internet for free templates and backgrounds. I found quite a few different sites that offer free designs, so I decided to share them. The Cutest Blog on the Block- This is the site where I found my butterfly background and the snowflake header I am using now. They have so many beautiful styles to choose from, from simple and classic to fancy and elegant. 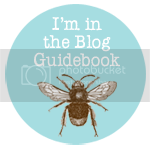 They also offer easy to follow instructions for adding backgrounds and banners to your blog. Leelou Blogs and Butterflygirlms Rambles On: I found Butterflygirlms and she mentions that she designs some of the free templates that are on Leelou Blogs. I like how they offer complete templates for your blog, and there are plenty of cute choices. I like all of the seasonal ones they offer, so you can change the look of your blog anytime of the year. The Graphics Fairy: She has plenty of beautiful and artistic choices for blog backgrounds. I really like the vintage look to her work, it is simply stunning. Shabby Blogs: She offers very pretty layouts for blogs that look like art from a scrapbook. There are backgrounds, headers, buttons and plenty more at this site. I also tried to create my own background this time around, but I am still working on it. I used images from Scrapbookscrapbook.com and The Graphics Fairy. What is your favorite site for free blog backgrounds? Check out the other blog I write for! Credit to these sites for supplying me with images to use for my blog background. I occasionally change my background, so I do not always use images from each site at the same time.